All our instructors are available for group or personal golf lessons. At World of Golf our PGA Qualified Instructors offer personal and group golf lessons for all ages and abilities. All our instructors continue their professional development to increase their knowledge and skills in coaching golf, and have excellent levels of follow up service in to help you develop your golf game. Nominated for inclusion in Golf Monthly’s Top 25 coaches list. Ian has over twenty years of experience as a golf professional, and during that time has focussed his career toward teaching the game he loves. Ian is one of our Master Professionals here at New Malden. Ian has previously taught in the Middle East with stints in both Dubai and Abu Dhabi, he joined the World of Golf in 1999. Ian has recently opened the Ian Clark Golf Academy here at New Malden, the academy is equipped with the very latest teaching technology available today. This includes Trackman, K-Vest and SAM Balance Lab. Ian is a Golfing Machine, Trackman and Titleist Performance Institute certified coach and this shows in the quality of instruction he produces. Ian has won a number of awards for his coaching, and as recently as 2012 was voted one of the top 100 coaches in the country by Golf World magazine, and also was awarded the designation of Advanced Fellow of the British PGA. Ian has made a lifetime vocation to learn from the best teachers and has studied under many of them, that list includes, Jim Flick, Homer Kelley, Mike Bender, Lynn Blake, Jim McLean, Ben Doyle, Chuck Cook, Geoff Mangum, Andy Plummer, Mike Bennett, Martin Hall, James Leitz and Dr Karl Morris. Ian is a regular contributor for Golf World magazine, with his instruction articles regularly appearing in the magazine, he has also published his own e-book, ’50 drills from the driving range’, with another book on it way. Ian has also held many regular speaking engagements, speaking at the PGA National golf show, and speaking at the PGA South Region coaching conference, he also presents seminars to fellow members of the PGA. Ian uses outstanding and imaginative communication skills as well as many different training aids in all his lessons, and as an ardent student of the game his enthusiasm for golf is infectious. 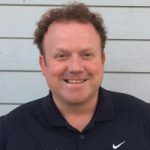 Duncan has 20 years of experience in the golf industry and has developed his patient and encouraging coaching style at some of the most high profile golf clubs. He started at Moor Park in Hertfordshire where he qualified as PGA professional, moving then onto the prestigious Wentworth Golf Club where he was one of the clubs senior professionals for over 6 years. 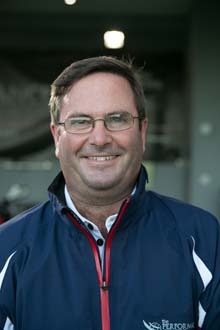 A spell as general manager at Club de Golf Santo da Serra in Madeira followed but Duncan’s love of coaching and seeing people progress in the game from raw starter to competent player lured him back to these shores to take roles as head teaching professional at some of the busiest golf centres in Essex, Kent and Berkshire. Along the way he has held the role of County coach for both the Essex and Berkshire Girls squads and has been involved in creating and delivering many other County level coaching programmes. In his career Duncan has been very fortunate to have been able to watch, work and learn from the greatest Instructors. For Duncan this applies to any shot in golf and he hopes he can pass on this message to as many people as possible. He believes that every golfer can improve their game and have a real enjoyment of the greatest game ever invented. He really enjoys the challenge of helping golfers to be the best that they can be. It is this belief that has enabled him to be lucky enough to be a highly sought instructor from all over the UK for his philosophy of the game and instruction on the swing. 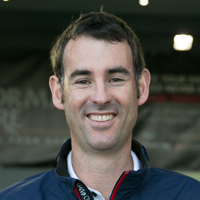 Duncan’s passion is to help any golfer with the desire to improve. He enjoys teaching beginners, amateurs and professionals alike in the proven fundamentals that have made him an Advanced PGA Member and Golf Worlds Top 100 Teacher. Using tried and tested systems he will work with you on every aspect of the swing to improve power, accuracy and consistency. The short game of chipping, pitching, sand shots and putting is strongly emphasised to help everyone lower their scores. To develop a complete player, the mental aspects, course management skills, physical and nutrition can be covered. As you progress through your programme, Duncan will teach you how to understand what your swing is doing by analysing the ball flight which is really the cornerstone to becoming your own best teacher. Each student learns how to practice, how to play the golf course, how to analyse their game to find the areas that need the most improvement, and most importantly how to think and act like a champion. 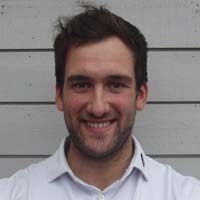 Duncan has appeared in multiple golf publications, hosted and spoken at Teaching and Coaching conferences and is currently studying a Post Graduate Diploma at the University of Birmingham in sports coaching. Duncan is available for lessons on Mondays, Tuesdays, Thursdays, Fridays and Saturdays. Jon is simply the most experienced golf coach for beginners in the UK. He has started over 25,000 new players into the game through beginners group lessons over the past 38 years. His infectious enthusiasm is undimmed for introducing people to the sport. Whether you have never touched a golf club before or are returning to the sport after a lay off, Jon will inspire you to want to play golf. The group lessons will be fun as well as instructional and by the end of the 6 week course you will be ready and able to attack a golf course. Jon also specialises in getting new players both out onto the golf course and meeting other new golfers by arranging golf games and golf holidays home and abroad. So not only will you be taking up a new past time, but you will be making new friends as you go. 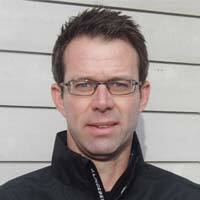 My name is Grant Guerin and in 2008 I moved to London from my home in New Zealand to join the team at The World of Golf. Whilst in New Zealand I played at the highest level of amateur golf representing my region of Canterbury at all levels from under 16 through to the senior team. I still continue to compete in a few professional tournaments each season with success. As a coach I have studied and learnt from many of the leading coaches in the world and I am continually looking to increase my knowledge and understanding of how to get people to play better golf as quickly as possible. Grip, posture and the basics of the full swing plus the short game and putting will all be covered to help you get started properly. You know that you are capable of hitting good shots but it just doesn’t happen often enough and the bad shots are really killing your scores. Don’t worry I will offer you advice to make your swing more consistent and get your shots finding the target more often. So you are already established as a player but you want to get better. Together we can work out ways for you to improve your game so that you can lower your scores and achieve your goals. If you have a round coming up and you want to play well but don’t want to make major swing changes then I will help you to find a quick fix to get you through your round. Brian started golf at the age of 8, growing up in the Golf Mecca of South Africa, the Garden Route. Brian’s passion for golf came from his father who played golf to a high level and two brothers who still today hold very low handicaps. Brian began his PGA training in 2004 and soon after qualifying in 2006 held the Director of Golf position at the Gary Player designed Goose Valley Golf Estate in Plettenberg Bay, South Africa. During this time he was able to learn, play and teach alongside the golfing great Gary Player. This helped as Brian spent a successful 18 month stint on the Sunshine Tour, the South African Professional Golf circuit. Brian spent a fair amount of his course practice sessions with Branden Grace a multiple winner on the European Tour and has because of this learnt a great deal about the mental and physical requirements of playing on Tour. Brian’s sporting background means he is incredibly adept at applying every day activities into your golf swing making it easier to understand and be consistent from the get go! His history of coaching and playing alongside Gary Player, Branden Grace, Wayne Westner and some of the top Tour professionals has increased his ability to spot swing faults in top players while also allowing him to give practical advice on how to perform under immense competitive pressure. During his time at the World of Golf London Brian has also run an outreach program that saw 7500 juniors get an introduction into golf and a further 1000 juniors visit the range for a weekly program through 2014 and 2015. The immense amount of patience through delivering the outreach program has meant Brian is exceptionally well suited to help any level of golfer including beginners who wish to experience golf coaching that is fun, relaxed and uplifting. 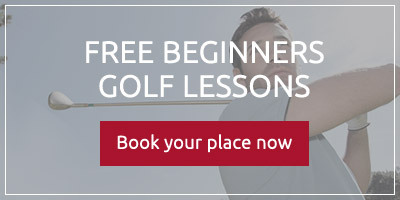 Grab a session today and make today the start of a fantastic golfing career! Sebastian grew up in South Africa, and at the age of 10 discovered his love for golf. He participated in countless junior golf programs and at the age of 15 had achieved a handicap of 2. He represented his county in many national tournaments and in 2009 came top at the annual handicap ranking at the Eagle Canyon Golf club, with a handicap of + 2. This incredibly low handicap afforded him the opportunity to play on the South African professional tour, the Sunshine Tour, while still an amateur, thus gaining some invaluable experience of not only playing golf at the highest level but also seeing other top golfers at first hand. In 2010 Sebastian moved to the UK to further his professional golfing career by participating in the Euro Pro, Jamega and Tp Tour events. In 2012 his hunger for knowledge led him to successfully complete a diploma at the European Golf Teachers Federation and in 2013 commenced his PGA training at American Golf (World of Golf). Through working with us at this site he gained extensive knowledge in golf club fitting and how matching the right equipment to a sound golf technique will add to the improvement a golfer will experience. He is a keen student of this and all areas of the game and is anxious to keep in touch with the latest trends and technology to help him improve his own and his customer’s golf game. People learn new tasks differently. Sebastian feels that it is his responsibility to make you understand the message in the most concise method possible .There are three forms of learning: HEAR IT, SEE IT, FEEL IT. The fastest way for you to improve is to stimulate all three forms of learning; auditory, visual and kinaesthetic and he aims to do this by using training aids, drills and feedback such as video play back or Trackman radar. Sebastian is a firm believer in practice with a purpose, using drills to keep the game exciting. Sebastian’s experience as a professional player taught him the value of a strong mental game, and the importance of strength and flexibility. Whether you’re just starting to play the game or you’re more advanced, Sebastian wants to help you reach your goals. He believes that no matter what level of golfer, “having fun” should be the #1 priority while learning and playing. “By getting the student to be more aware of what they are doing and why they are doing it, they can become their own golf coach.” A strong base of fundamentals is the process which can, and will, lead to desirable outcomes. His approach to teaching students varies depending on the person; no player is the same. He values the traditions of the game and wants to share them with his students. 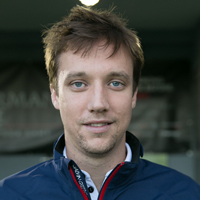 Sebastian is available for coaching from Sunday to Thursday. Alex has had a great passion for golf from the very moment he picked up a golf club at the age of 15. Being ambitious and hardworking he developed his game very quickly. With a starting Handicap of just 15 it was obvious he had a knack for the game straightaway. It then only took Alex 4 years to get down to a 2 handicap and win the Club Championships at West Hill golf club where he played his golf as an amateur. Following his artistic education, Alex at the age 18 took on the challenge of University life for 3 years. After Graduating with a (BA Hons) Degree in Illustration from the University of the Creative Arts Maidstone in 2010 he went onto some part time work becoming a golf caddy at two of the most prestigious and exclusive golf courses in the Country, Wentworth and Queenwood Golf Club. After just a few months of being “on the bag”, giving the players advice and tips on their swing technique he could see that he was able to give his customers an immediate improvement to their golf, so this was when he realized he wanted to pursue a career in golf coaching. He then made the decision to take on the PGA Training Scheme in 2011. Ever since he joined the PGA training program to become a qualified PGA Professional he has not looked back. Attached to Sutton Green Golf Club for 3 and a half years, he has loved working in the golfing environment and has thoroughly enjoyed dealing with members of the club he worked at, always providing them with excellent customer service. Alex relishes meeting new people and prides himself on being easily approachable and good-natured. His upbeat and enthusiastic character exudes his passion for teaching golf. Watching the progression of people’s golf and seeing their enjoyment and sense of achievement within their performance is what Alex ultimately strives to accomplish. Firstly, creating a comfortable and relaxing atmosphere for the student, whilst imparting a sense of interest and enthusiasm in what is being taught. Then directing that interest and enthusiasm with solid fundamentals and easy to follow step by step routines that students will feel confident in following. Ultimately, enjoying the experience is the most important concern, being able to guide the individual to reach their full potential is the only other focus. Alex is available for coaching at World of Golf New Malden from Tuesday to Saturday. Harry Scott is one of the UK’s young golf coaching stars. 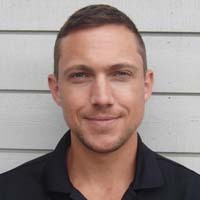 He began his golf teaching career with us at World of Golf New Malden back in 2011 and spent 2 years learning how to develop beginners into new budding golfers. He then travelled to China to gain more experience of both life and golf coaching, before being lured back to the UK by an offer to work at the prestigious St Andrews Golf Club, The Home of Golf, where he spent 4 years including time as a Scottish Golf Union Development Coach. 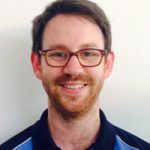 Harry moved back down south and is currently coach to the England Golf Regional Girl’s Squad and works full time overseeing Performance Sport at St Mary’s University. Harry’s first love is coaching beginner golfers and the “Learn to Play Golf Free” campaign here at World of Golf London allows Harry to bring his experience and knowledge to bear, to help our new players get to grips with the game. With his fun and immensely engaging personality to boot, you are certain to enjoy your experience of learning to play golf with Harry Scott. 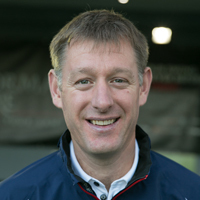 Kevin has joined the World of Golf London with a wealth of enthusiasm and a career full of experience in coaching new golfers to spearhead our “Learn to Play Golf Free” campaign. He has a unique style geared solely to making the difficult task of learning to play golf as easy as possible, for both adults and kids, and the feedback from his customers is universally positive. Kevin started his professional career at Hersham Village Golf Club and stayed there for 8 years until he was lured away by the World of Golf company to work at the Sidcup golf centre. With the sale of that site, Kevin moved across London to take the head professionals job at Stockley Park Golf Club, but when the opportunity to head up this extremely successful programme at World of Golf New Malden came up, he was on his way. Kevin is all about making learning golf fun. He is a qualified and knowledgeable PGA professional, but you won’t feel embarrassed as a novice, as he applies his great skill and easy-going manner to encourage you to improve. Our PGA qualified instructors offer classes for golf beginners and improvers, in group lessons or as individual tuition to really advance your game. For the most forensic analysis of your game ever, book your next lesson at the Performance Centre – World of Golf, London. 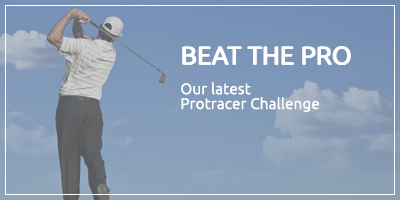 Beat the Professional over 12 shots and win 100 balls! Get useful hints and tips from our Golf Pros, who can also advise on what the Performance Centre could do to improve your game.